Featured in my Mini Urban DecayHaul, the Urban Decay Naked Skin Weightless Complete Coverage Concealer £17.50 (what a mouthful) did not disappoint. And having put it through its paces, I can confirm it is everything I wanted the NARS Radiant Creamy Concealer to be, but more. The liquid concealer applies like a dream, melting into the skin with either my fingers, or damp beauty blender. The rich yet lightweight formula offers complete coverage and has a demi-matte finish. It's also infused with peptides and sodium hyluronate to help the skin retain moisture, which is an added bonus for us dry/combo gals. It's lasting power is pretty good, lasting a full 5-6 hours before showing any wear and that's without a setting powder! And it doesn't stop there, it doesn't look cakey, or settle into fine lines. What more can I say? 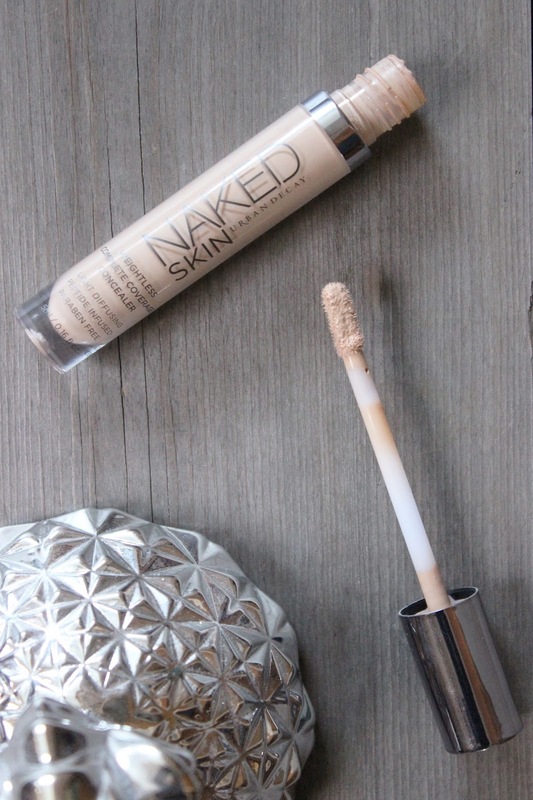 Have you tried the Urban Decay Naked Skin Weightless CompleteCoverage Concealer?